The European Values Instrument can provide a much-needed boost to the weakened resilience of European democracies. However, the details of its structure will determine whether this opportunity will be grasped, write Jan Jakub Chromiec and Katarzyna Pełczyńska-Nałęcz. Jan Jakub Chromiec and Katarzyna Pełczyńska-Nałęcz both work at the Batory Foundation’s Open Europe Programme, as expert and director respectively. The European Union is close to creating an instrument that will enable its citizens to promote democratic values. On March 1, Jean-Claude Juncker and Günther Oettinger recommended the creation of an “EU Values Fund” within the multiannual financial framework for 2021-2027. 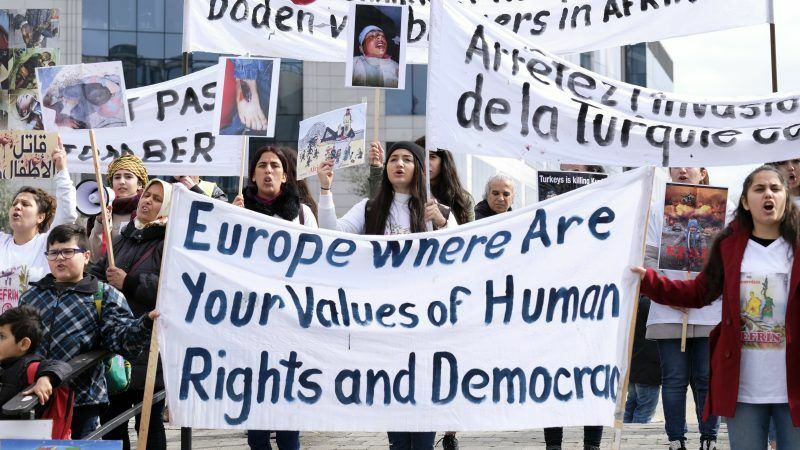 The Committee on Civil Liberties of the European Parliament proposed a similar “European Values Instrument” in a resolution to be voted on during the plenary today. This shows that the Union is beginning to recognise the need for a comprehensive policy of promoting European values. This policy requires more than just disciplinary action, such as triggering Article 7 against Poland. Nor can it be implemented top-down alone, at the level of EU institutions and member state governments. The process of strengthening the Union as a community of values must involve its citizens. However, the mere establishment of a new financial mechanism will not determine its effectiveness. Much depends on how it is designed. Promoting equality before the law (regardless of nationality, gender, age, etc.). Secondly, the instrument should have an adequate budget, large enough to ensure the effectiveness of its activities while not exceeding the absorption capacity of non-governmental organisations in member states. A guiding principle should be established that the Union will spend at least as much on value-promotion within the Community as it does in third countries. On this basis, the budget of the European Values Instrument would approximate €2 billion over the next seven-year budgetary period, which is how much the Union spends on promoting democracy and human rights in non-member countries in the current financial perspective. Thirdly, the new instrument should have an EU-wide character (and thus be equally accessible to all citizens). At the same time, however, it should target not only the large pan-European NGOs, but also, and perhaps especially, those operating locally in individual countries. It is within the member states where the greatest challenges to democracy are emerging today. This makes the way in which funds are distributed crucially important. Ideally, grants should be distributed by independent operators directly to local organizations. Each operator can be responsible for a specific thematic area. Part of its task would be to promote the instrument and to simplify the application process as much as possible. Fourthly and finally, support should be diversified. Both small grants for small activities and long-term institutional support for larger organizations are needed. In addition, the instrument should take into account the fact that in poorer countries NGOs often do not have funds for co-financing projects. The EU’s decision-makers have a strategic opportunity to halt the erosion of European values and renew the Union as a values-based community. The European Values Instrument can provide a much-needed boost to the weakened resilience of European democracies. However, the details of its structure will determine whether this opportunity will be grasped. So the idea basically is after risng the taxes (so called “liberal” Macron idea) to give some money to certain people easlly? Because EU has too much money after Brexit, so we don’t know how to spend them better? You guys really want to bring the far right to power.